Their analysis shows the earliest evidence for nutrient-dependent growth in the fossil record. All organisms need nutrients to survive and grow, but nutrients can also dictate body size and shape. This is known as ‘ecophenotypic plasticity.’ Hoyal Cuthill and her co-author Professor Simon Conway Morris suggest that rangeomorphs not only show a strong degree of ecophenotypic plasticity, but that this provided a crucial advantage in a dramatically changing world. For example, rangeomorphs could rapidly “shape-shift”, growing into a long, tapered shape if the seawater above them happened to have elevated levels of oxygen. 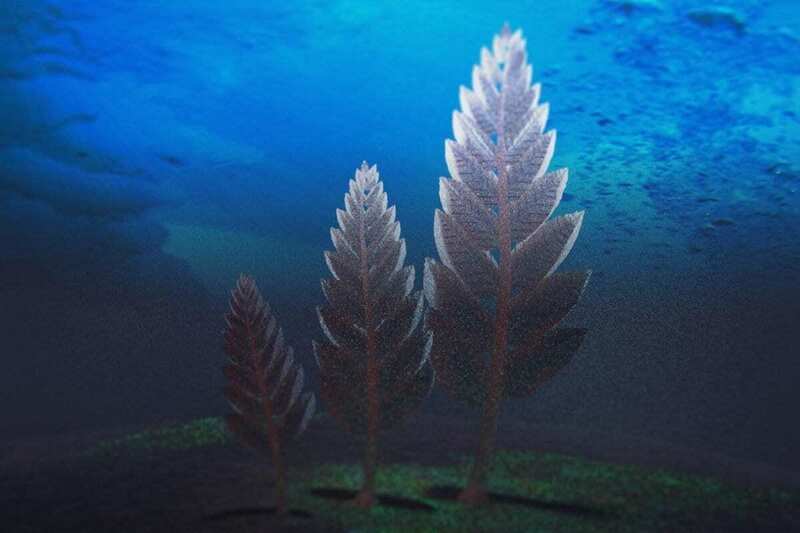 However, while rangeomorphs were highly suited to their Ediacaran environment, conditions in the oceans continued to change and from about 541 million years ago the ‘Cambrian Explosion’ began – a period of rapid evolutionary development when most major animal groups first appeared in the fossil record. When the conditions changed, the rangeomorphs were doomed and nothing quite like them has been seen since.